“We have 33 Liga titles"
The @realmadrid manager didn't hold back! Something for the @realmadrid fans to ponder upon! What do you want to win next season? “There’s a real possibility that he signs for @realmadrid"
The @realmadrid star has had a horrible season and Zidane might just let him leave! Big blow to @realmadrid and Zidane ! @realmadrid are reportedly close to agreeing a massive new kit deal!
. @realmadrid are not fighting for a trophy on any front. Is it because of @Cristiano? The race to sign the @realmadrid target is heating up!
. @paulpogba and @hazardeden10 to @realmadriden this summer? HUGE claims made by the @realmadrid legend! Things aren't looking good for the @realmadrid star! The most read newspaper in #Spain is saying #RealMadrid could loan @GarethBale11 this summer. Why Pogba would find it easier playing for #RealMadrid than #MUFC! #Varane apparently wants to leave #RealMadrid this summer! @eastonjamie is in Spain with the latest. 🎁🎂🎉 Happy Birthday to @Cristiano, who turns 33 today! Unless that player is @Cristiano. 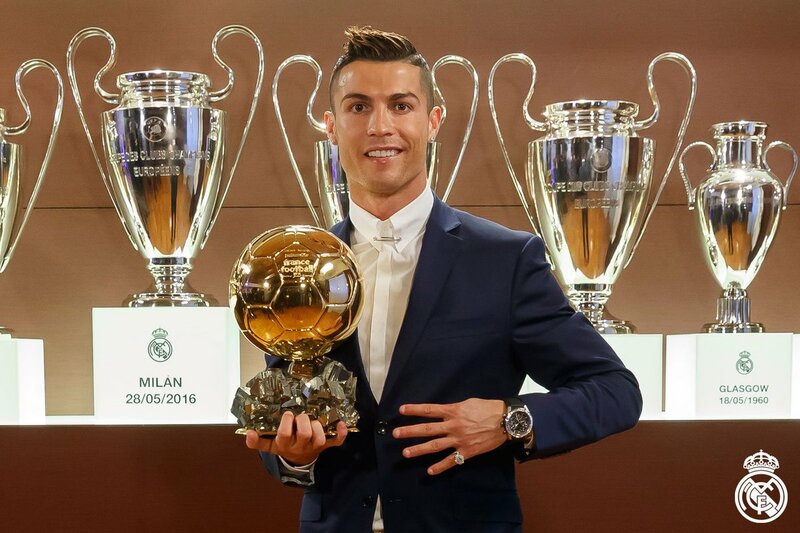 Congratulations to @Cristiano on winning his fourth Ballon d'Or!